No-one likes cleaning grout – but with the right products removing tough stains, mould, mildew and efflorescence doesn’t have to be a painful process. Davco Tile & Grout Cleaner is ideal for ceramic, mosaic, quarry and slate tiles. 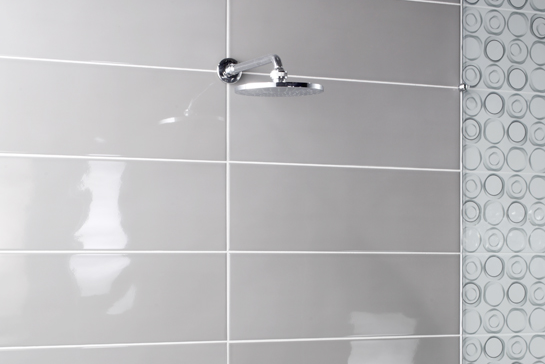 However, as an acid based product it can affect newly installed grout and may etch some specific types of tile. To avoid disappointment, always test the product in an inconspicuous area first. To test, place 2-3 drops on the tile, wait 15 minutes and then rinse well to see if the product is suitable on your tiles. Grout must be fully cured before using this product. You should wait for at least 28 days after grout installation before using this product. In a clean plastic bucket add Davco Tile & Grout Cleaner and dilute with water at a ratio of 10 parts water to 1 part Tile & Grout Cleaner. Use a saturated mop or sponge to wet down the surface. For normal cleaning then dampen the mop or sponge with the solution and wipe over the surface before immediately rinsing it off with clean warm water. For tougher stains or heavily soiled areas apply a greater quantity of the solution and allow it to sit on the affected area for up to 10 minutes. Then scrub with a stiff nylon brush before rinsing well with clean warm water. Do not use on polished marble, limestone or metallic glazed tiles.